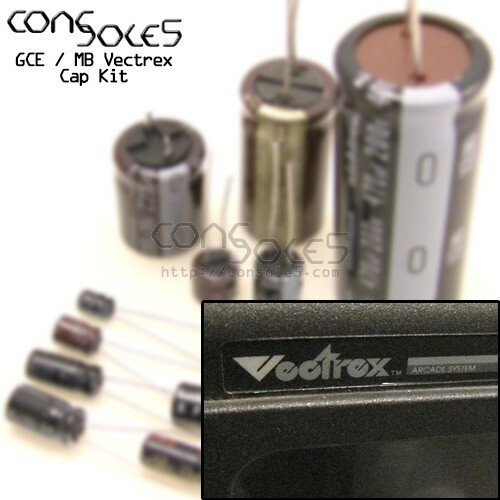 This kit contains all parts necessary to replace the electrolytic capacitors in the Vectrex game console. Note that the non-polar 0.47uF capacitor C409 will be indicated with a mark on the metal cap and lack a negative stripe. For capacitor lists and maps, please see our Vectrex Wiki page.